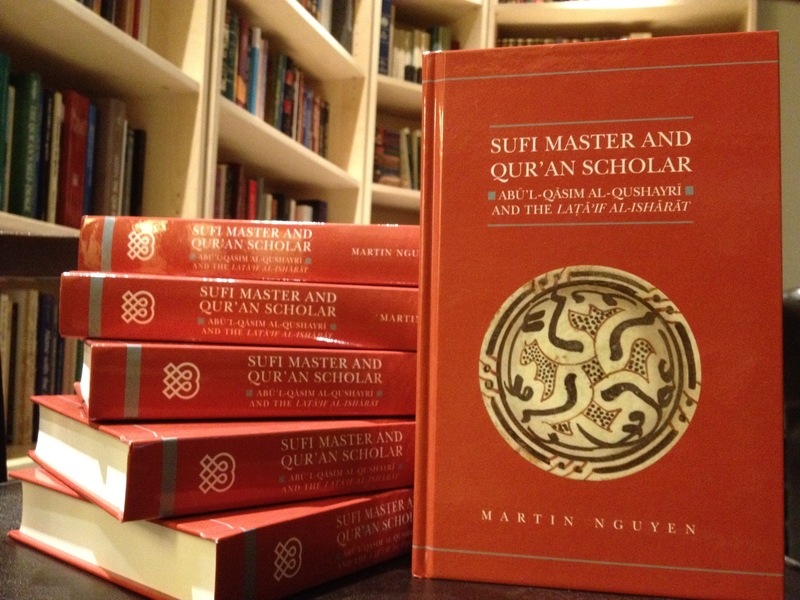 Several copies of my new book Sufi Master and Qur’an Scholar: Abū’l-Qāsim al-Qushayrī and the Laṭāʾif al-ishārāt arrived today at the office. This work, which has evolved over the years from an idea into a prospectus into a dissertation into a book, is finally in print. I am indebted to many colleagues and friends for their help and support in composing this work. My thanks to you all. The praise is generous and undeserved, but heartening nonetheless. The book has been published by Oxford University Press in association with the Institute of Ismaili Studies. My experience working with them has been absolutely superb. For more information on the book, including availability, please visit my Lata’if al-ishārāt project page on this site.